We take a lot of tech calls regarding PM’s. Planning your lead time to enable you to do the required PM is an art form, and this tip using Web PM’s should make it easier. If you are having problems with PM Schedules and want an easier way to determine when a PM will generate, consider Web PM. 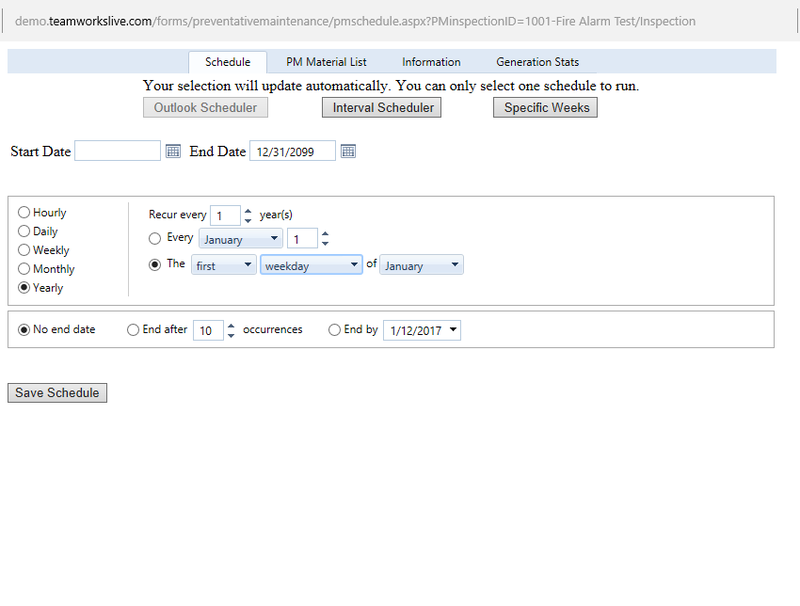 Web PM has an Outlook style scheduler which allow you to be more specific on the day or date you would like the PM Work Order to generate each cycle. Always key when taking into account vacations, weekends and holidays. 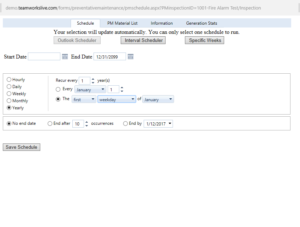 PM’s will still generate on the schedule you set (every three months being one example), but you can adjust the day if it lands on a holiday at some point during the year.